They say that you don't know a good thing until it's gone. I can second this saying indefinitely after my weekend in San Francisco. I lived in Berkeley for 3 years (thank you, grad school) and moved from there to LA less than a year ago. I loved San Francisco when I lived there, though was looking forward to moving away to La La Land and away from all the drama that had become my surrounding in SF (isn't that always the case when you are sick of exams and writing papers?). When people ask me if I miss The Bay at all, usually the only things I can list on my "Miss You" list are the stores there (LA's shopping culture is less condensed and quite spread out. LA's Chinatown, for example, is pretty much for local Asians or for tourists who are in the market for faux purses and shoes. In terms of jewelry, I have observed, LA is of a buying culture, as apposed to a making culture. LA's crazy busy highways and lack of stellar public transportation also make it hard to shop - I also miss San Francisco's excellent subway system in which one can easily get to wholesale stores without having to worry about parking or traffic jams!). 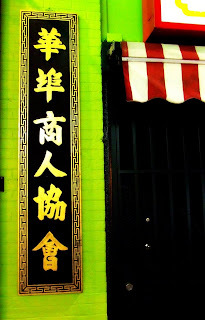 I especially loved Chinatown when I lived in SF, and frequented it as often as I could for both it's shopping and Chinese language resources (bargaining with the Chinese ladies in Mandarin Chinese is a great way to practice the language outside of the classroom!). I also made a point to always bring my out-of-town guests to Chinatown to both show them this mini-nation within SF's city limits, but also for all the great and cheap souvenirs available with it's crowded, smelly streets. 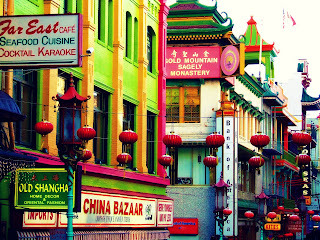 I have always loved Chinatown and felt that, by the time I moved, I knew it better than the average San Franciscan. What I did not know, however, was that San Francisco is TOPS in jewelry supplies wholesale. 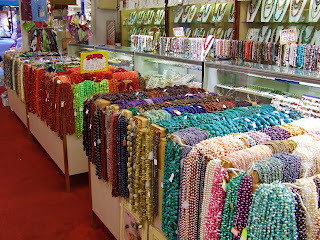 Don't get me wrong, I always knew there were plenty of jewelry stores that sold beads, jade, gold, etc in Chinatown - I frequented them often and even bought all my wedding jewelry supplies (pearls and findings) in Chinatown. But now that I am actually in the market for such supplies, go figure, I live in LA, which is supposed to be a fashion capital but has NOTHING in terms of jewelry supplies (I met a jewelry designer at an art show here in LA who says that she GOES to Texas to get her supplies. Why has Texas figured this out but not LA?). That said, I truly saw Chinatown with new eyes this weekend. In fact, I saw the whole city with new eyes. I saw things I never noticed before and had such a great time getting around carelessly, without a map and without a prerogative other than taking pictures and finding beads. I returned to LA reporting to my husband that I fell in love with San Francisco all over again -- THOUGH I would never really care to live there as I find its value most potent when experienced in small doses. I love it more now than I did when I could see it's skyscrapers on the other side of the Bay from my window. My friend from grad school, Erin, was kind enough to join me on my crazy and at times quite intense adventure around Chinatown and Berkeley for the best beads we could find - I was a woman on a mission! I visited half a dozen stores within a few hours and walked away with SUCH treasures! I don't want to post pictures of the supplies yet as I want the new items to be a total surprise, but in the meantime you can read the reviews I have written for some of the stores I visited: Lawrence Trading Company, Hoang Jewelry #2, Baubles and Beads, and Scrapbook Territory (a great source for charms - and I used to work here!). (picture is of Lawrence Trading Company in Chinatown). And an addendum from last Thursday's post: Chrissy asked me if I had seen Top Chef Masters and if it was brightening up my otherwise reality TV-less Wednesdays. I did watch the first episode and was left feeling "ma ma hu hu" (Chinese for so-so - there is your Chinese lesson for the day!). I will surely give it a few more go's before making a final verdict. Either way, So You Think You Can Dance is up and running, making my Wednesday night routine of making jewelry in front of the tube better (much to my ESPN-loving husband's dismay!). Also, Chroma Lab reminded me that "Bemz and Marimekko have teamed up to offer slipcovers in a range of their fabrics." H O L Y M O T H E R O F P E A R L.
Watch out, Mr. Wallet. Things might get tight. And, in the spirit of saving the best for last, it seems that Chinatown read my last blog entry. Seriously? No words! Whoops! Posted as my husband, sorry. I basically said I was disappointed in Top Chef as well, happy about So You Think You Can Dance, and thankful for my favorite USA shows returning this summer (Psych, Burn Notice, Monk). Also, I'm looking forward to seeing what kind of creations those suprises bring. LOVE your second pic of Chinatown!! Of course, used to the reds, but its been awhile since I've been there and just feel energized by the vibrant pinks and electric lime green! I can't believe how small of a world we all really live in! I live about an hour and a half north of Berkeley...wine country....but, love my trips there about once a year and of course, as a scrapbooker & stamper, have to shop at Scrapbook Territory!!! 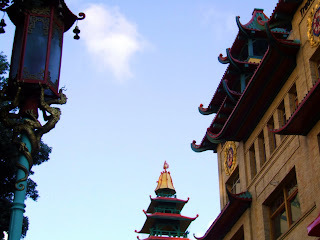 We visited SF on our honeymoon last year and stayed right beside Chinatown. Loved it! Can't wait to see what you come up with! 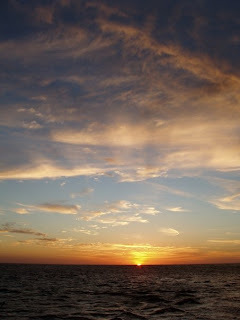 gorgeous, bright pics! I love our visits to SF, especially Chinatown. Wedding jewelry - for myself!